Buying a home has been the primary way Americans have built wealth for decades. In today’s world, new technology and a multitude of financing options have intersected to create a host of options for buyers – and they’re taking notice. Whether you’re buying your first home or your fifth, we’re here to help. buy their first home in 2017.
to Veterans and their families in 2017. On this page, you’ll find a complete overview of the most important things you should know about buying a home. We’ll start with essentials for first-timers, and then review the mortgage process, choosing a loan, house hunting, and closing costs. Whether you’re completely new to the process or a seasoned real estate mogul, this page will serve as a jumping point for your journey. So you’re ready to become a proud homeowner and live on your terms? Great, we can help you get on your way. As a direct mortgage lender with 20 years’ experience, we’re happy to help you invest in a new home so that you can enjoy tax benefits, build equity, and become part of a community. Before we begin, it’s important to note that buying a home is multi-faceted process that may vary depending on which program you choose, your financial footprint, and other factors. To prepare for the process, you’ll need to invest time organizing your financial documents, making financial decisions with the help of your mortgage banker, and completing paperwork either online or in person. Choosing a local mortgage lender can make the process easier, and our checklists for purchase or refinance loans can help you get organized. Connect with a Mortgage Banker who can check your credit with your approval. If your credit is needs work, don’t worry, that same professional can also help you form a plan for improving it. 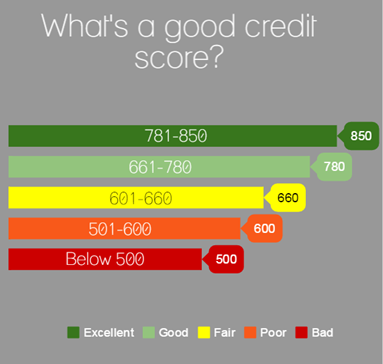 Learn more about credit scores here. Based on your credit, a Mortgage Banker can discuss your financing options and educate you about the current market. Understanding the benefits and drawbacks of different loan types will help you make an informed choice later on. Research down payment options. Figure out how much you can put down on a new home; then, look into first-time buyer programs that may curb that expense. Demystify the process of buying a home by reading our 20-page Guide to Happy Homebuying. It's your tutorial on all things mortgage. After you’ve devised a financial plan and discussed your financing options with your mortgage banker, it’s essential to get prepared to make an offer on a home before you househunt. In order to do so, there are three distinct options available to you. First, you can get prequalified. A prequalification is quick assessment of you assets, income, and debt to give you a clear idea of the mortgage amount you will qualify for. You can be prequalified over the phone with no paperwork. While getting prequalified is straightforward, it does not put you in the best possible position to make an offer on a home. For that, you'll need either Preapproval or Apex Approval. Preapproval: Without preapproval, sellers likely won’t accept your offer. This is a lender’s indication that they will lend you money for a home. To get pre-approved, you must turn in all the financial documents you would for a loan application. Once complete, you will receive a pre-approval letter, which shows sellers you’re serious about buying. Unlike prequalification, a pre-approval identifies any potential issues before starting the home search because it verifies your credit history. 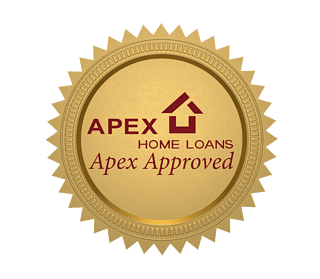 Apex Approval*: The highest level of mortgage readiness, Apex Approved means that all of the processing and underwriting work for your loan is completed upfront. Apex Approved puts you in a position to close on your home in as little as 15 days after receiving your purchase contract, making your offer very attractive to sellers, particularly in competitive bidding situations. *Apex Approved is not available for all loan programs. With Apex Approved, we underwrite the credit portion of your loan, including your credit history, income, employment, and assets. As a first-time buyer, covering closing costs can seem daunting. However, there are several practical steps you can take to save for your first home. Explore grant and Down Payment Assistance programs that can curb the expense of homeownership, such as the Mortgage Credit Certificate, Maryland Mortgage Program, VHDA program, DC Open Doors program, Delaware State Housing, or Housing Opportunities Commission (HOC). Employ budgeting techniques to help your household save more. Here are eight we recommend. Ask yourself the right questions up front. We’ve identified three common questions that could save you thousands. It’s crucial that the lender you choose has a clearly-defined, transparent process. Without one, who knows how long your loan could take? We value transparency and efficiency, which is why we lay out exactly what you can expect when you let us lend a hand. Let’s get to know each other. We’ll talk over your home financing goals, set expectations for the process, and help you learn your credit score. Want to prepare for this chat? Here are 10 essential questions you can ask. A crucial step in the mortgage process, getting preapproved prevents you from missing out on your dream home, helps determine your budget, and embeds any offer you might make with the weight of an entire lending team. Note that there are three levels mortgage readiness. Partnering with your Mortgage Banker, we’ll supply a list of what you’ll need to collect in order to complete your application. Different documentation may be required, depending on whether you’re purchasing or refinancing. With the help of your lending team, we’ll use the documents you’ve gathered to complete a loan application. Then, we’ll get to work preparing the final documents you’ll need to sign to lock in your loan. You can apply at one of our locations, online, or by phone. Now the ball’s in our court. 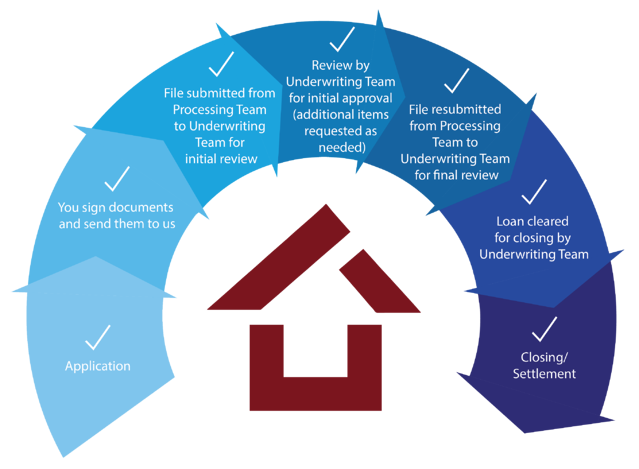 Our in-house team of processors will work collaboratively and efficiently to review financial documents, order reports such as an appraisal, and prepare your loan file for Underwriting. A professional will make sure your app is up to code. An Underwriter will review your loan file to verify it meets lending requirements. Then, they’ll either approve your loan, request anything else they might need to do so, or (in rare cases) deny/suspend the application. The path to homeownership is cleared! Expect to receive a Closing Disclosure outlining the terms of your loan shortly. Your Mortgage Banker will contact you to schedule a settlement date and send our pre-close letter. In the meantime, you can prepare for closing. Congratulations! You're a new homeowner. Get in touch with an Apex representative to start the process! Locking your loan to secure your interest rate can happen at any time during the process. Rate locks last for a specific duration of time, so it is important to discuss when you should lock with your mortgage banker. For most people, it makes sense to sign a purchase agreement before trying to lock an interest rate. Buying a home is likely the largest purchase you’ll make in your lifetime. Choosing the right mortgage to complement your financial goals is critical. With so many options available, it can be challenging to find the right loan for you – which is why we’re here to make this important decision easier. There are two main types of mortgages: conventional and government-backed. A conventional loan is one that is not guaranteed or insured by the US Government. Conventional loans are an ideal loan type for homebuyers with good credit scores. A government-backed loan is guaranteed or insured by a federal institutions, like the Federal Housing Administration (FHA), Veteran’s Affairs (VA), or the US Department of Agriculture (USDA). Government-back loans, such as FHA loans, VA Loans, and USDA loans are often great if you don’t have a large down payment saved, but have solid credit and a stable income. There are three common government-backed loans homebuyers can choose. When choosing the loan that’s right for you, you’ll need to select a loan term, or the duration of your mortgage loan in years. The most common mortgage terms are 30 and 15 years, but conventional loans can have loan terms of 10, 15, 20, or 30 years. When choosing a loan term, you should consider your needed cashflow each month, how long you plan to remain in the mortgage, and how quickly you want to gain equity. Weighing the pros and cons of a 15-year mortgage vs. a 30-year mortgage is a good place to start. The term of your loan will be one contributing factor that determines your monthly payment. The other determinants include your loan amount and interest rate. After you select a loan, you’ll need to choose between a fixed or an adjustable interest rate. A fixed-rate mortgage is one in which the interest rate cannot change, and therefore the principal and interest payments remain constant throughout the entire life of the loan. An adjustable-rate mortgage is one in which the rate is fixed for a specified period of time, typically 3, 5, 7, or 10 years, and can adjust annually thereafter. Fixed-rate loans make sense for those that believe they will keep their mortgage for a very long time, which we could define as over 10 years. Homeowners should weigh deeply how long they believe they will be in their home as well as how long they will keep this mortgage to avoid overpaying. If you’re choosing between a fixed or adjustable rate, ask yourself key questions, like how long you’ll remain in the loan, look at current interest rates, and evaluate your financial situation. Understanding credit is vital when choosing a loan. Not only can your credit history determine whether you qualify for a loan at all, your credit score is the single largest determinant of the interest rate of your loan. Let’s look at how credit affects lending options, how you can obtain your credit information, and how to get started on the path to improving credit. A credit score is a numerical ranking that identifies how much risk you pose to a lender. Credit scores are determined exclusively using information found on your credit report, including payment history, outstanding debts, credit history length, and other, less weighted considerations. Credit scores have a large impact on the interest rate of your loan, influence which loan program best suits you, and illustrate your reputation as a borrower to your lender. Your credit score is only one part of a larger lending picture. Mortgage companies also evaluate income stability, employment history, and property value when determining your loan eligibility. If your credit needs work, it does not necessarily mean that you won’t qualify for a loan. There several straightforward ways that you can improve your credit: start by evaluating your credit report to dispute any inaccuracies. Your down payment is an integral part of choosing a loan that works for you. A down payment is your initial investment in your home, and the amount you choose will influence whether you need mortgage insurance, your interest rate, as well as which loan program is best for you. Down payment percentages typically range from 3-20 percent of the home purchase amount. When putting down less than 20 percent on a conventional loan, you generally must pay Private Mortgage Insurance (PMI). That being said, a bigger down payment is not always better. No-money-down loan programs are also available for eligible homebuyers through VA Loans or USDA Rural Housing Loans. These government-insured loan programs accommodate 100 percent financing without a down payment; however, both programs require fees that are paid at the time of closing. There are several ways that you can alleviate the burden of paying the full down payment amount up front from savings alone. Make your down payment goal reachable by considering the following strategies. Use gifts. Many homebuyers, particularly new homebuyers, use funds gifted from family members to help with a down payment. Although not all loan programs can accommodate gifted funds for the full down payment amount, programs such as FHA Loans do allow 100 percent down payment gifts. Note that verification requirements exist for gift donors, and you should help educate your family members about how they can help. Tap into your IRA or borrow from your 401k. If you’ve never owned a house, consider tapping into your IRA to come up with the funds needed. The IRS allows up to $10,000 in IRA funds as a down payment if you are a new homebuyer and waives the early withdrawal penalty. Similarly, homebuyers can borrow against their 401k without a penalty and pay back the loan within a specified period. Use of these funding sources requires careful planning and consideration: discuss these options with an educated Mortgage Banker before making final decisions. Explore Down Payment Assistance options in your area. We’ll dive deeper into this subject in the next section. State programs make homeownership more accessible by offering Down Payment Assistance (DPA) through grants, lower-than-average interest rates on loans, deferred payments, and other benefits. Many of these special programs require using approved lenders, so make sure to check with your lender about their approved DPA programs when selecting a mortgage company. While these financing options vary by state, the most common form of this assistance is a second mortgage to enhance your first and cover some – or all – of down payment costs. While not all buyers will qualify, exploring DPA options as a first-time buyer is a smart time investment. So, you’ve been preapproved and have a good handle on how to choose a loan? Great! Now that you have a clear idea of your homebuying budget, it’s time for the fun part: finding your new home! Neighborhood: note the location of the home in relation to the most important areas you frequent, including work, school, shopping, public transport and etc. Make sure to research potential neighborhoods in advance of an open house, too! Home Features: Compare home size, house age, condition, and utility features/costs to decide on which home may work best for your family. Local Real Estate Market Trends: Reviewing the affordability, home price appreciation, and job market in your desired area can give you a clear sense of how your investment may fare in the months to come. Rely on your mortgage banker for recommendations. Mortgage Bankers facilitate tons of transactions throughout the year, building a large network of leading industry contacts. Ask the right questions. You’ll want to inquire about whether the agent you’re considering is licensed, the number of sales they have completed, or how familiar they are with your neighborhood, among other things. You’ll also want to prepare questions to ask at open houses so you can get a complete picture of your options. Do your research. Browse your agent’s Zillow reviews, Facebook reviews, Yelp ratings, and online presence to discover if they’re a good match for you – and more importantly—that they have a great track record. Closing costs are fees incurred for the preparation and funding of your loan. These charges are made by third parties, your lender, insurance companies, and housing authorities. Among other things, closing costs cover your loan setup, appraisal, credit report, and settlement expenses. Prepaids are also factored into closing costs, and may include items such as hazard insurance or upfront mortgage insurance premiums, for example. Closing costs are generally 2-5 percent of the value of a home for both purchases and refinances. However, closing costs vary depending on the type of loan you choose. In fact, for certain refinance transactions, it's possible to roll your closing costs into the loan amount, depending on the program. Keep in mind that your Mortgage Banker will provide you with an estimate of closing costs when looking at different loan types, so you’ll be able to compare loan options and ensure you’re making the best decision for you and your family. With an abundance of insurance options available for your day-to-day life, choosing which coverage you need can be complex. Thankfully, the insurance policies required for homebuying are far more straightforward. Mortgage insurance, homeowners insurance, and title insurance policies will protect financial interests, assets, and your rights of ownership—while also serving a critical role for the lender. Mortgage Insurance is a policy that allows homebuyers to purchase a home using a conventional loan without a 20 percent down payment. The policy protects the lender from losses in the event of borrower default. The cost of mortgage insurance depends upon your down payment amount and credit score. VA loans, FHA loans, and USDA loans each have a form of mortgage insurance, often known as a guaranty, that are paid monthly or upfront. Title Insurance verifies clear ownership of a property to prevent against loss. Getting title insurance is standard protocol when a buyer closes on a home purchase. This insurance protects against certain matters that are not on record, such as forgery, missing heirs, and insufficient information about the status of partial property owners. In the event that there are unpaid real estate taxes or liens on a property, title insurance will also cover the legal costs to resolve those issues. For FAQs about Title Insurance, check out our blog. Homeowners Insurance: On-premise injury, theft, fire —or any number of other tragedies— could strike at any moment. Homeowners insurance makes sure that if these types of events occur, the policyholder does not suffer devastating financial losses. Not only is this coverage simply smart to have, but it is also required by all mortgage lenders. Different coverage options are available for homeowners insurance, and this policy is one the few that homeowners can shop for independently of their lender. Saving money on homeowners insurance is a plausible—and encouraged—undertaking for homebuyers. Flood Insurance: A separate policy from homeowner's insurance, flood insurance may be required if your home is an National Flood Insurance Program (NFIP) A or B flood zone. A cashier’s check or proof of wire transfer for the exact amount of money you need to close. Check with the title agent about specific form of payment. Your initial Closing Disclosure (CD) to compare to the final at closing. Your checkbook. There are occasions when something unforeseen arises. Your driver’s license or other form of photo ID. In advance of your settlement, make sure to confirm with you Apex team or loan officer who will be conducting the closing, where it will take place, and review any relevant documents. Preparation is key! There you have it! We’re thrilled you journeyed with us through this complete overview of buying a home. There’s no denying the thrill of owning your first property, becoming part of a community, and exploring the world with a clear home base. It’s important to keep in mind that the mortgage market is always changing, so you should ask your lender how they manage your mortgage beyond closing. Get in touch with an expert at Apex to start your homebuying journey! Or download Your Guide to Happy Homebuying to learn more.